In this months B&C Journal we tackle bedroom storage. We often forget how much storage we need in our bedrooms. 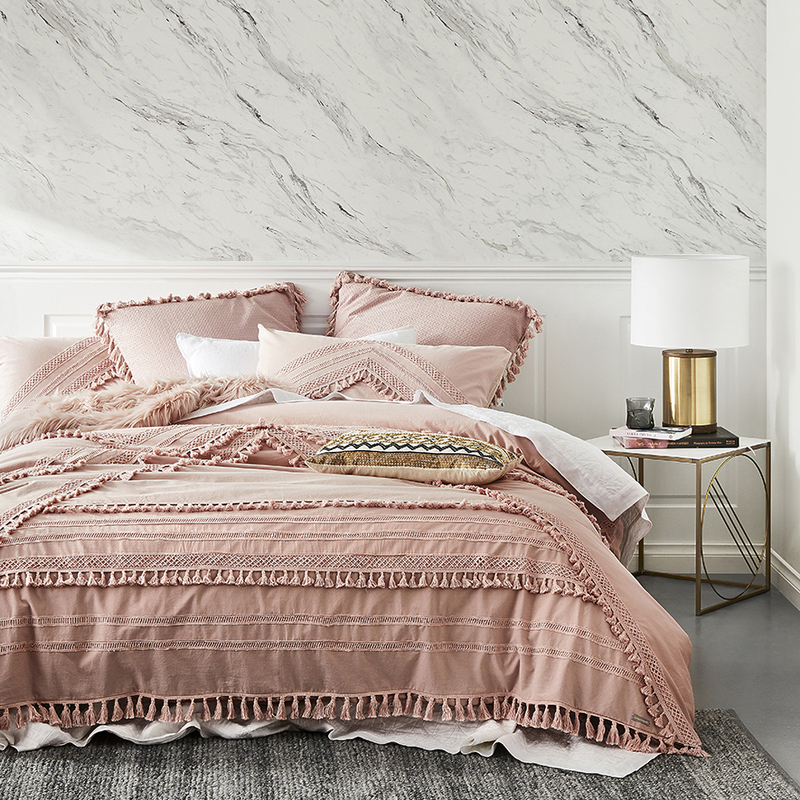 Like many rooms of a home, the bedroom performs dual functions. It is both a place of rest and relaxation and escape but also a functional place to get ready for everyday activities like work or a special function. For these reasons, it is important to create an organised and uncluttered haven in your boudoir. An organised place for each item of clothing where pieces can be easily located and accessed. The bedroom should also provide a place for serenity and rest after a long days work. No more clothes piled up on that armchair, or stacks of magazines protruding from underneath your bed or clothes spilling out of overstuffed drawers. 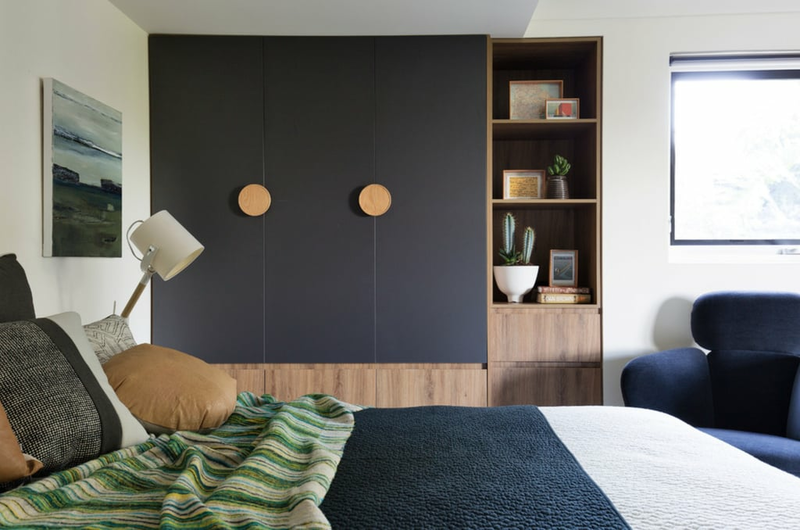 In today’s article we show you how custom cabinetry can help maximise your bedroom storage and we provide you with some clever ideas to help boost your bedroom space. Use floor to ceiling and wall to wall custom joinery to boost your bedroom storage. Traditional bedroom furniture and standalone wardrobes are bulky and take up valuable floor space. They don't sit flush to your walls leaving even more valuable space unused. 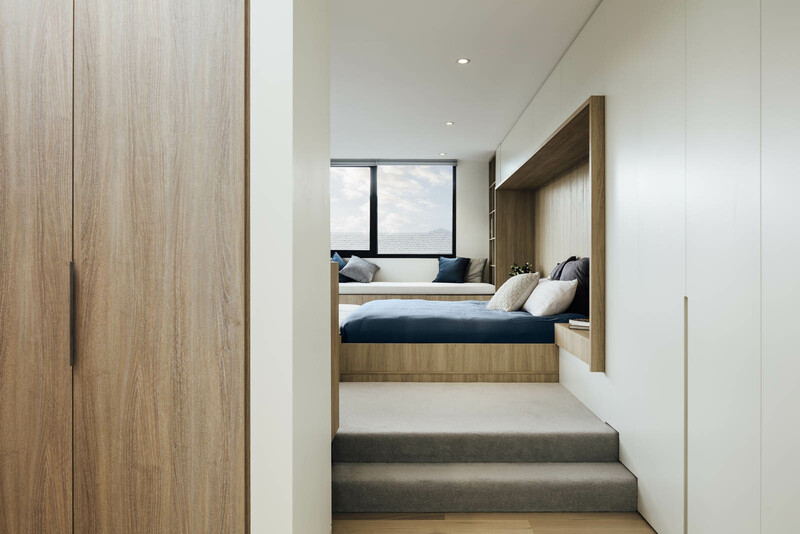 Opting for made-to-measure custom cabinetry and joinery will not only help maximise your storage, it will help create a sense of space visually allowing even more light to pour into your room for a bigger and brighter bedroom. Allocate one wall for a custom wardrobe or, create a custom walk-in by constructing a dividing wall in your room. Wardrobe walls are a great investment, not only are they a really practical solution to storing all your clutter and clothes out of sight, but they also transform a room. The same rule applies to a custom built walk-in robe. By dividing your bedroom into zones and creating a seperate area for clothing storage like a walk-in robe, will leave the remaining room free of clutter, clean - a perfect place for sleep and relaxation. Custom bedside tables with storage is a great way to help create more space, remain clutter free and keep you organised. 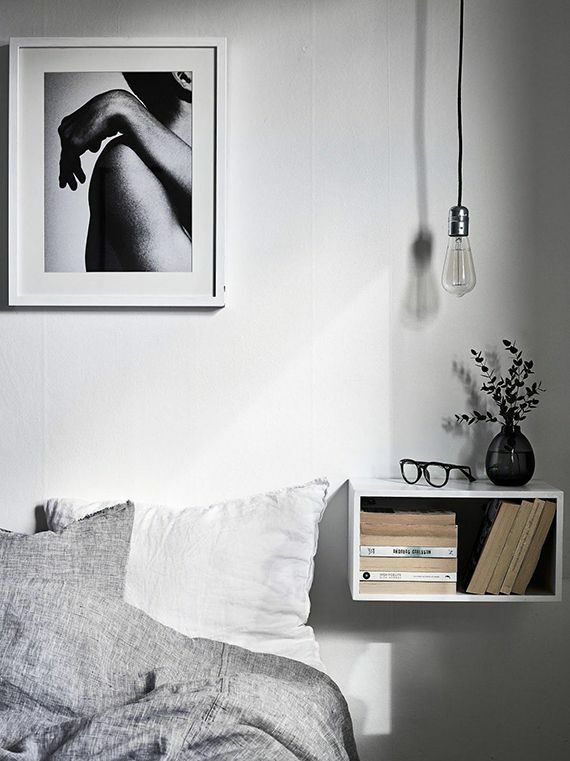 Use this space to store your night time items, everything from reading materials, jewellery to hand lotion can be stored away and kept out of sight. 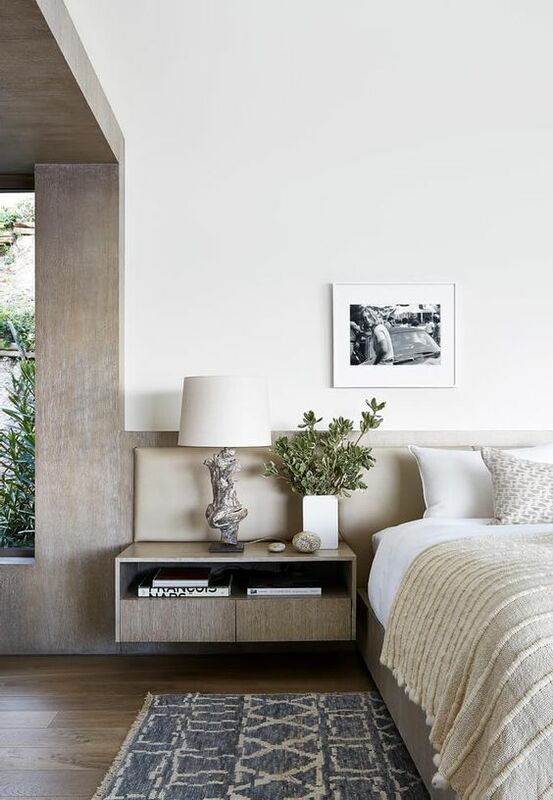 Make the most of your space with custom built-in cabinetry that incorporates a headboard, nightstands and possibly even wardrobe space. Apart from fitting perfectly within your room dimensions, a custom cabinetry solution allows you to choose an exact storage combination that meets your unique needs. Under-bed storage is a smart option when considering adding more storage in the bedroom. Opting for a bed with storage compartments built in will provide you with even more storage and being concealed, keep the dust away. Incorporating open shelving will not only give you a place to display your decor items; within a custom wardrobe or walk-in work well for storing awkwardly shaped items like bags, hats and shoes. The bedroom is a masterclass of using every bit of available storage. 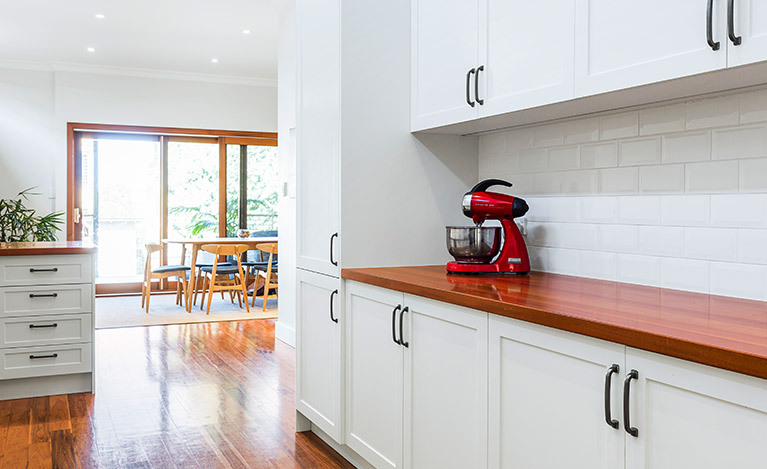 Custom cabinetry will allow you to personalise your storage requirements and allow you to get the exact combination of hanging space, customised drawers, and open shelving that meet you specific needs without encroaching on much needed space. Still unsure how to maximise your bedroom space? Leave it to the experts at Balnei & Colina. The Balnei & Colina team of designers will create a custom storage solution for your bedroom that will not only boost your storage but help create a clutter free and restful environment. For more information about our custom joinery solutions or to book a design consultation, call 1300 450 320 or send us an email. If you’re looking for further inspiration and ideas for your next renovation, signup to our newsletter or connect with us on Instagram and Facebook to stay up to date with the latest design trends.